Stand out for the right reasons with our premium quality PVC Banner printing, at a great value price. These banners are built to last with full colour and high resolution printing on tear-resistant PVC. Choose our 440gsm PVC Banner printing for a great value custom banner, supplied trimmed with eyelets for ease of hanging. 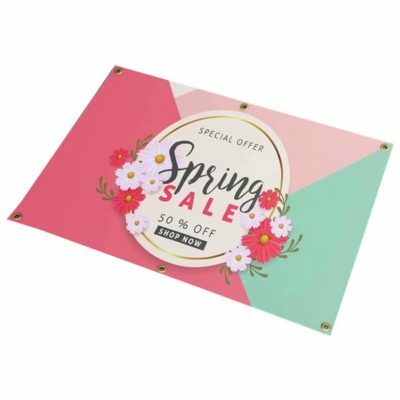 Or choose our Premium 510gsm PVC Banner printing for an even more durable banner which is supplied with hems and eyelets for quick and easy use.